(ZACK NOTE: The following is an essay I wrote for an anthology about Marvel Comics’ Ultimate Universe last year. The anthology has been indefinitely delayed, and those in charge say that they have no trouble with my posting this publicly. (This whole thing led to my doing a very good one-on-one panel with Duncan discussing his career at NC Comiccon last fall, so time well spent. But I hate to let writing go to waste. On October 25, 2001, Marvel Comics issued a press release heralding the hiring of Ron Zimmerman, a TV writer best known as a regular contributor to Howard Stern’s radio program, as a writer on a variety of freelance projects. “Welcome to The House, Ron – we think you’ll find it even more strange than Hollywood!” it extolled. Two and a half years later, Zimmerman would be one of the most reviled names at Marvel, inciting a degree of Internet hatred so great that Joe Quesada himself would step in to publicly defend him. His legacy would be some of the strangest comics ever put out by the House of Ideas, including perhaps the most obscure Ultimate Universe book, Ultimate Adventures. The true story of Ultimate Adventures is one that represents the nexus of Marvel’s output and attitude in the early 2000s, a combination of creativity and aggression that proved both admirable and regrettable. It is a book that is the one attempt at launching an Ultimate Universe title with original characters with no counterparts in the “mainstream” Marvel Universe. It is the product of a creator whose hiring is widely perceived as one of Joe Quesada’s greatest follies. It was picked by the website Comics Alliance as one of the worst comic books of the past decade. Ultimate Adventures was all of these things. But the truth, as they say, is even stranger. Here is the tale of Ultimate Adventures, of the book itself and of its creation. Fasten your seatbelts. 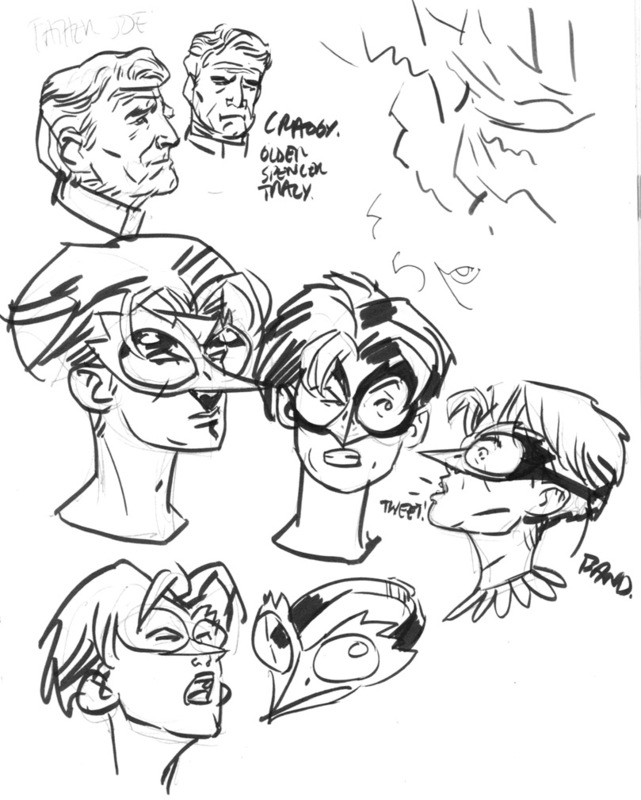 Ultimate Adventures was a fairly simple concept: In a comical/Harry Potter-esque variation on the Batman and Robin story, a sassy orphan named Hank Kipple gets adopted by Jack Danner, a billionaire who’s secretly a vigilante called Hawk-Owl. Hank discovers he’s being groomed to be Hawk-Owl’s sidekick Woody. 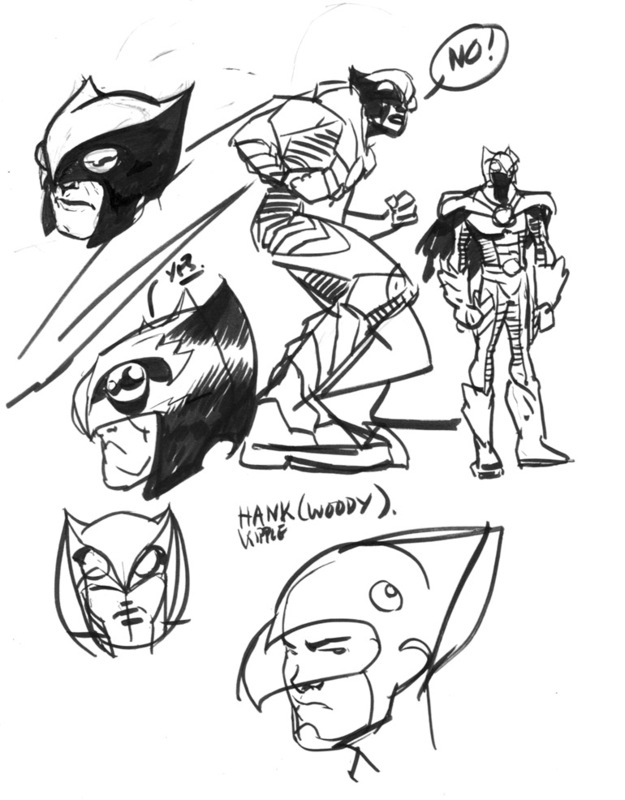 Hank’s initially against this, but comes around and helps Hawk-Owl defeat a school principal who’s gone mad and become a super-villain. The story climaxes with the two turning into a crime-fighting team while learning how to function as a family and crime-fighting unit. Not too bad so far. The concept has its gaps in logic, but it’s a nice wish-fulfillment story with an emotional core. Ignoring that kid-sidekick concepts have come under scrutiny for their child endangerment and potentially pedophilic subtexts over the last few decades, it’s an idea that could work with the proper execution. Unfortunately, Ultimate Adventures had problems that had nothing to do with its execution. 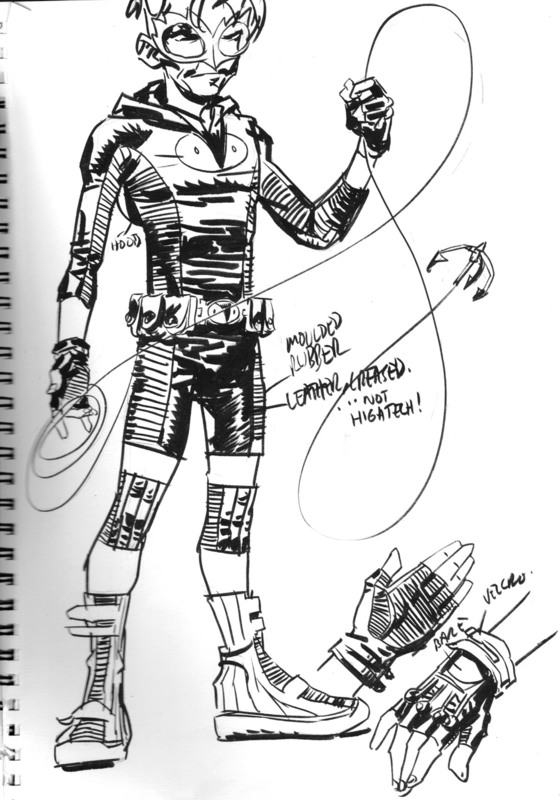 A Duncan Fegredo design for Hawk-Owl. Joe Quesada’s arrival at Marvel in the late 1990s was a breath of creative oxygen. There’s no other way to put it. After peaking in the early 1990s with a variety of artist-driven books, the company saw a downturn when most of those artists left to form Image Comics. The company then spent most of the next decade trying to revitalize their core heroes by making them seem more like the Image Comics characters, resulting in such attempted reboots as Spider-Man finding out he was really a clone of himself (long story) and utterly plummeting sales. By the late 1990s, the company was literally bankrupt, and came to the belated realization that quality writers and artists paired together was the key to regaining their readership. Quesada’s sub-line of “Marvel Knights” was a ¾ success (the Punisher miniseries where he became an angelic assassin was quickly swept under the rug), and he quickly rose to prominence within the company. In tandem with Marvel Executive Vice President Bill Jemas, Quesada helped restore Marvel to a creative force. Current storylines were quickly collected into trade paperbacks, while older storylines long out of print were finally collected as well. Film versions of the Marvel characters were produced in close coordination with the comic creators, and accessible storylines and materials were made available with each new release. Distribution of trades and single issues regained a presence in bookstores and newsstands. And most importantly, new and eclectic names were put in charge of the established characters. Quesada made a statement with his first Marvel Knights book, the run on Daredevil that he illustrated off a script by filmmaker Kevin Smith. 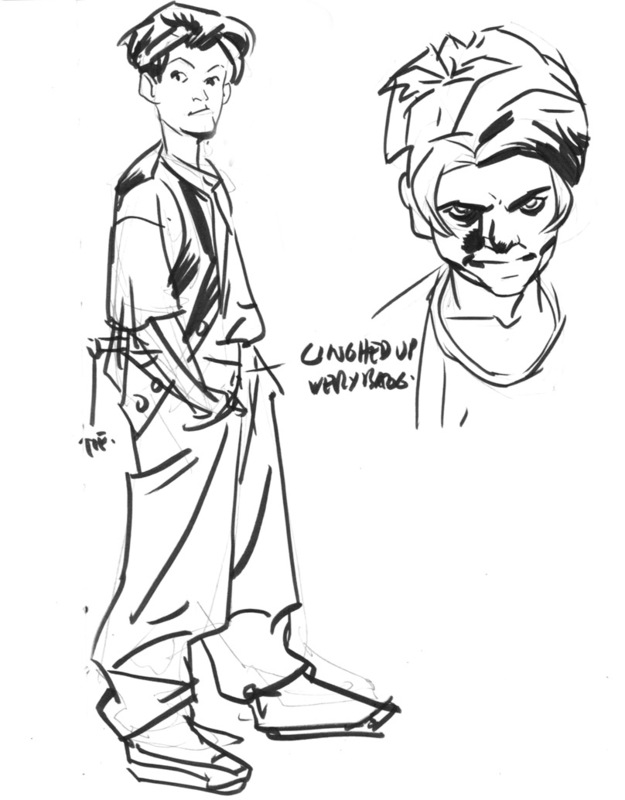 Smith had included many comic references in his work and done some books with his characters for Oni Press, but he was hardly a name guaranteed to sell copies. It was a stab at bringing in a creator with an existing fan base outside of mainstream superheroes, and the gamble paid off. Marvel writers during this period usually came from one of two backgrounds: Either they had proven their credibility through a few small-press books, or they came from some sort of non-comics background – TV writing, novels, feature films – that could potentially bring a new voice and/or style to preexisting concepts. Both choices yielded some eclectic, often fascinating results. Most relevant to this book was the decision to get Brian Michael Bendis to script Ultimate Spider-Man. Not only was the idea of a modern-day reboot of Spider-Man widely seen as a fool’s errand in the wake of such unsuccessful efforts as John Byrne’s widely-derided Spider-Man: Year One and the aforementioned clone storyline but Bendis was at that point mainly known for doing dark, dialogue-heavy crime books through such smaller companies as Image. The sullen Hank Kipple, and another design. Putting a small-press writer in charge of a major superhero launch was at that point a risky move, and it paid dividends, further paving the way for such writers as Greg Rucka and Ed Brubaker to become major voices at Marvel. The second choice of bringing in non-comics writers provided its own peaks and valleys. J. Michael Straczynski, who had a major following from his TV series Babylon 5, had already scripted several series at Image, and brought a large audience to his work on Amazing Spider-Man, albeit with mixed critical results. Joss Whedon, who’d also scripted some comics set in the universe of his series Buffy the Vampire Slayer, likewise brought his following to his work on Astonishing X-Men. There is something worth noting here: Straczynski, Whedon and the aforementioned Kevin Smith all had some experience writing comic books and fan followings based on characters they had created before they started writing for Marvel. For that matter, they’d also done works that reflected the storylines often found in super-hero comics – even Smith, who’d mostly done relationship-based films, had worked on screenplays for such concepts as The Six Million Dollar Man. 1) He hadn’t written any comics before. 2) He had mostly written comedy. 3) His name wasn’t associated with anything he had created on his own, and was likely to be unfamiliar to anyone who didn’t listen to Howard Stern. In other words, Zimmerman arrived with a fair amount of hype, but was also in a situation where he had to learn a new format of writing. In addition, his background in comedy meant that his skills were mostly in more dialogue-based stories, something difficult to pull off in the limited space of sequential storytelling. And he didn’t have the goodwill that someone like Smith, Straczynski or Whedon could rely on in case his work put off fans used to a more traditional style of superhero storytelling. It was perhaps because of these things that Zimmerman’s work gained a reputation among comic book fans. Unfortunately, it wasn’t a particularly good reputation. Zimmerman’s initial stories with the Punisher and Spider-Man were illustrated by such Herculean talents as Darick Robertson, John McCrea, and Sean Phillips, and weren’t the worst thing Marvel had published. That’s not to say it was particularly good. His stories mostly played like strange digressions, with such tales as the Punisher going back in time to assassinate Al Capone (and it all turning out to be a dream), Spider-Man dealing with the Scorpion on a charity outing (with an odd cameo by a family drawn to look like the Simpsons), and Spidey’s foes commiserating in a super-villain bar. The last tale was sort of amusing, but overall these books came across as insubstantial. There was rarely any drama, the humor often fell flat, and by the time Zimmerman got to the heavily-promoted Get Kraven limited series, casting the son of an old Spider-Foe as a Hollywood player, the negative feedback was starting to come to a boil. 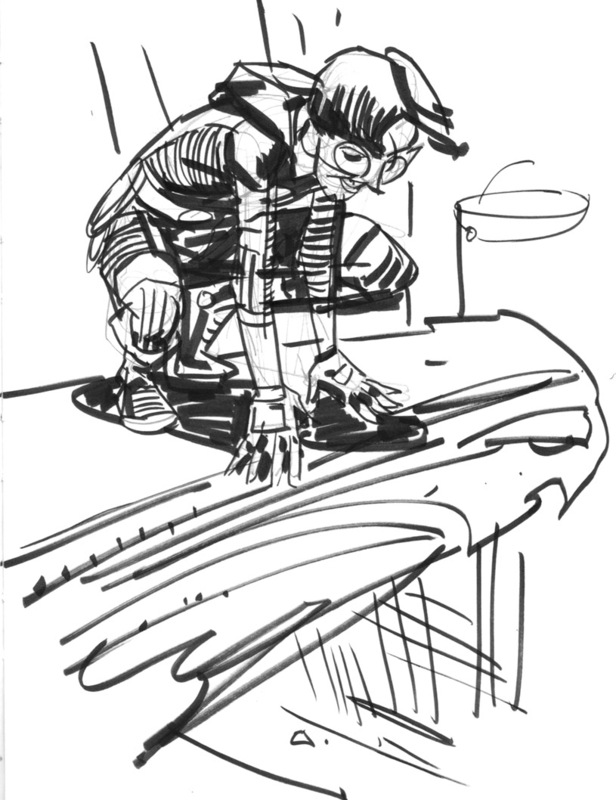 Sure, online fans went off many, many times about, say, Straczynki’s Spider-Man stories, but he had some preexisting goodwill to rely upon, along with a strong understanding of the fundamentals of comic book scripting. Zimmerman didn’t have that crutch. He had to learn how to adapt to comics writing as he was being published, and his shortcomings were both public and scrutinized by fandom. So ugly did things get that Joe Quesada himself then posted on that board on Zimmerman’s behalf, arguing that Zimmerman came from a similar background as Kevin Smith, but didn’t have the pre-existing “cult of personality” to defend him. Quesada wasn’t necessarily wrong, but the message board meltdown illustrated how things had gotten to an ugly point. From Newsarama to Comic Book Resources to Marvel.com, message boards were filled with endless complaints about Zimmerman’s books. While Marvel had helped revitalize many of their books by bringing in creators with fan followings, here was an increasingly public backlash. Zimmerman’s name was close to becoming the comic book equivalent of box office poison. As such, there was a bit of pressure to prove Quesada’s faith in Zimmerman was justified. 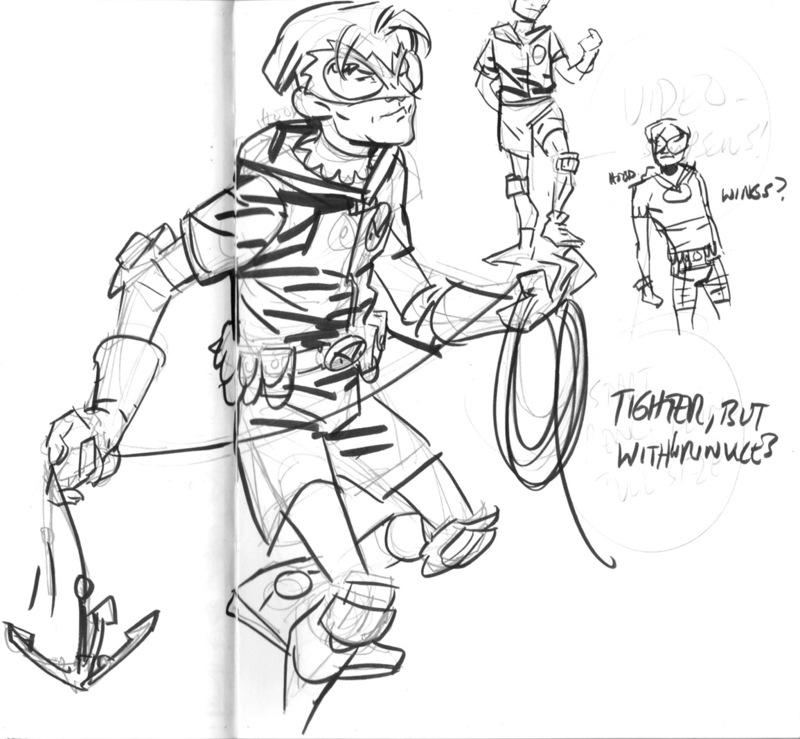 The most-spotlighted effort was a Zimmerman-scripted mature readers mini-series called Rawhide Kid: Slap Leather!, which “revealed” a classic Marvel Western character was gay. It featured excellent art from veteran John Severin and received a great deal of mainstream media coverage, mostly involving anti-gay advocates protesting its content. They needn’t have bothered – the book’s gay content was off-camera and implied, while the actual story was a straightforward parody of Shane and Little House on the Prairie. The humor mostly relied on the Kid engaging in over-the-top effeminate behavior, and other characters standing around awkwardly. It was more solid than Zimmerman’s previous work, but it was most notable for not being offensive. If anything, gay people were more likely to be offended than straights by the gay panic humor. Then came “U-Decide” and Ultimate Adventures. In short: Peter David, a fan-favorite writer with a long history at Marvel, publicly protested when the company announced they were raising the price on his book Captain Marvel from $2.25 to $2.99, a move he decried would help kill it. Quesada countered this protest by pointing out that David’s old-school continuity-heavy take on the Marvel Universe was too insular to bring in new readers, Bill Jemas joined in the argument seemingly for the hell of it, and the whole thing came down to a relaunched version of Captain Marvel being pitted against two other books, and the creator of the lowest-selling book getting a carnival-style humiliation at a comics convention. Jemas’s contribution was Marville, a brazen series of swipes at DC Comics that ended in a pitch for Marvel’s unsuccessful revival of its Epic Comics line. 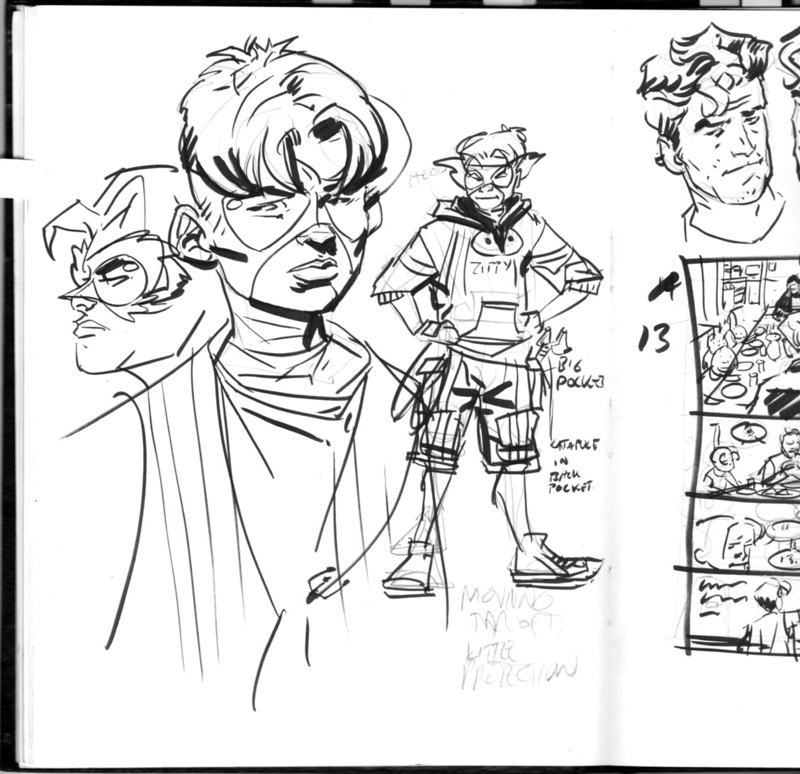 Quesada’s contribution was Ultimate Adventures, a book by Zimmerman that he would personally edit. There was a sense that he was putting something on the line personally with this: Not only was he the behind-the-scenes force on this, he was giving Zimmerman a spotlight with original characters in the Ultimate Universe, his brainchild. And he provided a quality creative team, with art by veteran Duncan Fegredo – who, like Quesada, had worked off Kevin Smith’s dialogue-heavy scripts – and covers by the excellent artist Kaare Andrews. The U-Decide competition was designed to run six months. The six issues of Ultimate Adventures came out from November 2002 to September 2003. During that nearly-two-year period, the covers were reduced from firm cardstock to a flimsy, slightly-higher-than-regular paper, while the cover price rose from $2.25 to $2.99. The entirety of the Rawhide Kid miniseries came out during this time, the “U-Decide” contest was won by Captain Marvel, and Marville proved to be a lead-in to a relaunch of Marvel’s Epic line, which had also mostly vanished by the time Ultimate Adventures concluded. And afterward, Ron Zimmerman was gone. I can’t find any record as to whether anyone in the competition wound up being dunk-tanked or hit with a pie. It’s funny how things turned out with Ultimate Adventures. As successful as the Ultimate line had been at creating updated, accessible versions of existing superheroes, this was the one time it took that extra step of launching a book with entirely new characters and stepping away from that safety net of pre-branded Marvel Comics characters and the built-in audience they provided. Unfortunately, the resulting book was an ill fit in the current marketplace on several levels. It was part of a publicity stunt, a showcase for a writer whose work had left a bad taste in most readers’ mouths, and was quite obviously a satire on the Batman and Robin legend. Enthusiasm for it was not high, and the delayed schedule only helped seal its fate. But was it really one of the worst comics of the past decade? A reread of Ultimate Adventures’ six issues reveals that, well, it wasn’t. There were many books that were far worse, among them the aforementioned Marville. It’s not to say that it’s some sort of buried masterpiece, though. The first issue introduces us to Hank Kipple, a smart-mouthed orphan in a run-down Chicago orphanage who’s smart enough to rig a clapper-type dorm lighting system, athletic enough to climb to the top of a nearby church and back, and resourceful enough to stop an attempted robbery at the orphanage, but he is too much of a back-talker to avoid getting in trouble with the nuns. Hank is the sort of character who could work if he was being portrayed as a life-action actor capable of bringing some nuance to the role of an abandoned kid who’s developed a tough exterior to cope with the idea that he’ll never have a family. Actually, Hank pretty much insults everyone; from the priest trying to help him to the fellow orphans he’s trying to help. It’s one thing to make a character seem tough and self-sufficient, but when he’s still spewing insults at a robber holding a gun to his head, the reader isleft wishing the robber would just pull the trigger. After helping Hawk-Owl thwart the robbery and subsequently back-talking to Jack Danner when he comes to look into adopting a son, Hank finds himself unwillingly adopted into Danner’s world and shuttled out of the orphanage that very night. With Hank, Danner and most of the supporting characters presented as typical comic stereotypes (strict nuns, kindly Irish priest, etc. ), the biggest problems apparent in the first issue is that it seems designed to play out in live-action. Again, real-life actors could perhaps bring some nuance to Hank and company, but on the page, their bland jokes play out in long, dialogue-filled word balloons on pages already crowded with tiny panels used to indicate reaction shots or quick camera cuts. Most pages have eight or nine panels – which works when you have a carefully structured script like Watchmen, but not so much when you’re doing a fast-paced comedy story. Indeed, the story reads fairly well when Fegredo’s art has some room to breathe. The second issue, which sees Hank moving in with Danner and eventually discovering his secret headquarters, offers some strong moments of visual comedy, and ends with an excellent two-page spread of “The Nest” (to its demerit, it also features such lame sequences as Hawk-Owl stopping a robber named “Zed,” designed to look like the character from Pulp Fiction, and is offered a CD with a thousand hours of AOL by the grateful clerk, one of many cheap shots the Quesada-Jemas era of Marvel took at DC’s parent company AOL Time Warner). Hank explores Hawk-Owl’s Lair in Ultimate Adventures #2, a lovely bit of Fegredo design work. Via http://www.comicsalliance.com’s “15 Worst Comics of the Decade” feature on Ultimate Adventures. But Fegredo does some quality work even within the script’s limitations. His Chicago is a cold, snowy place that feels like a realistic urban environment, and his skill with facial expressions nearly saves a scene where Hank is chewed out by Hawk-Owl’s right-hand-man Col. Toliver. 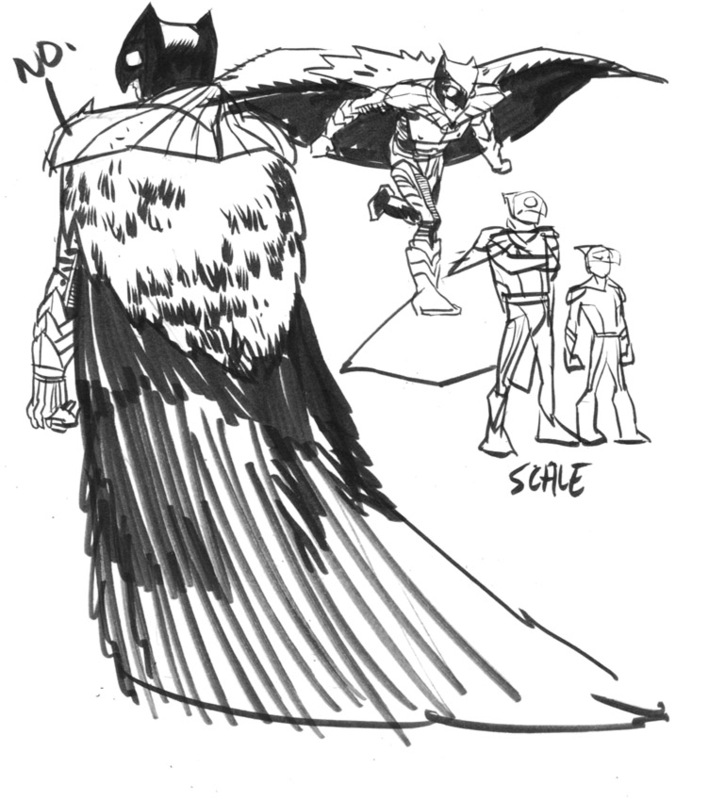 And Hawk-Owl’s costume, depicted as a slick Batman-type armor on the book’s covers, has a nicely bulky, eerie quality on the page, with its light-up lenses and shaggy feathered cloak. It almost what a real super-suit built by a rich guy might look like. It’s a shame, as the issue could have been a visual highlight with Hawk-Owl being forcibly recruited by the Ultimates,. Instead, the flat look drags down an already-lame script that shows Hawk-Owl talking back to a fascistic Captain America, battling him to a standstill while the other Ultimates offer color-commentary. It’s supposed to show that Hawk-Owl marches to his own drum and is competent on his own, but what mostly comes off is that Cap makes sense when he points out how stupid Hawk-Owl’s sidekick plan is. The many faces of Hank Kipple. The book’s main plot finally kicks in during the final two issues, as Hank’s school principal suffers a psychotic break after some personal setbacks and Hank accidentally punching him in the head (again, this kid is supposed to be our hero), leading to him becoming a bizarre Joker-like super-villain who wields a paddle as a weapon. It’s actually one of the more clever bits of the series, though the principal still comes off a bit more sympathetic than Hank, even when he’s torturing people. By the end, evil is defeated, Hank has learned a few life lessons, and he and Jack swear they’re never going to put on the costumes again, only to stop a mugging in front of a screening of The Mask of Zorro. The parody of Batman’s origin is, like many of the other parodies in the book, ham-fisted, though it does end in a nice double-page spread by Fegredo of the characters swooping to the rescue. At some point during all this is Hawk-Owl’s origin as told by his stereotypical martial-arts-proficient Asian chauffer, which somehow involves a martial arts mentor literally drawn in the image of Pat Morita in The Karate Kid (Fegredo can’t remember whether this was deliberate), and some bit about how Danner “is the hawk and the owl now.” The explanation doesn’t make much sense, nor does it add anything to Danner’s character. Ultimate Adventures was eventually collected in a trade paperback entitled “One Tin Soldier,” though the classic anti-war folk song/Billy Jack theme doesn’t have a whole hell of a lot to do with Hank Kipple’s tale. 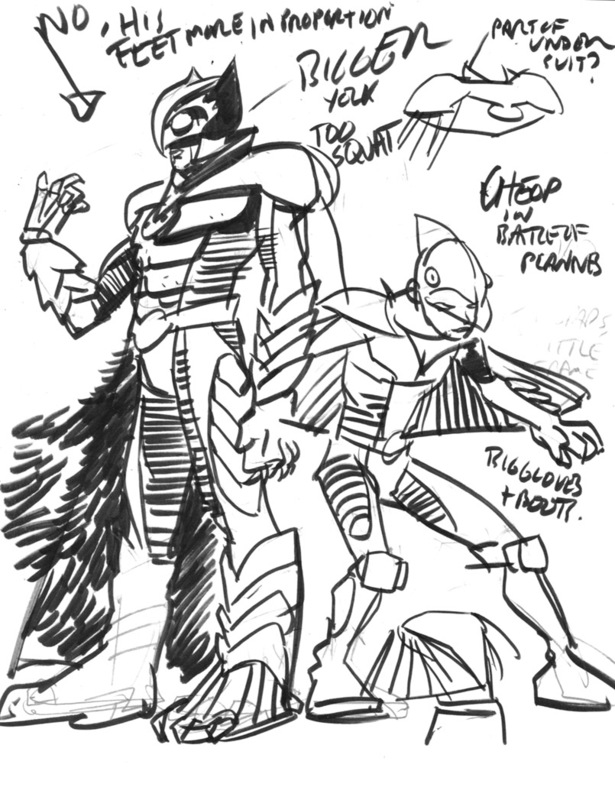 As for the erstwhile sidekick and his mentor, they vanished into the ether, save for a throwaway reference in The Ultimates’ second storyline where Hawk-Owl was discussed as a possible recruit. It was, in retrospect, a failed experiment more than anything else. It tried to create original characters for the Ultimate Universe, do a comedic super-hero comic, and signal Ron Zimmerman’s transition into the realm of fan-favorite writers who are only slightly pilloried on the Internet. Even Duncan Fegredo himself has few fond memories of it. And yet, I can’t condemn it as one of the worst Marvel comics ever. There are spectacular failures, and there are mediocrities, and then there are the failed experiments. The reason I elevate the failed experiments above their ilk is that, in their undertaking, they attempt to do something different, to create something new. 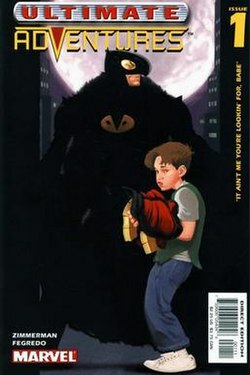 Granted, the “something new” in this case was a Batman-based family comedy. But it’s the one book in more than a decade of the Ultimate universe that wasn’t some slightly-rejiggered version of a pre-branded name. Okay, it was with a character most audiences would immediately identify as a Batman type, but it was still a character that had never existed in Marvel Comics before. The great strength of the Ultimate Universe has long been its ability to modernize, simplify and subvert the histories of existing Marvel characters. Its weakest points have been when, like the “regular” Marvel comics, it’s been put into a position where it’s forced to spin the wheels on the characters’ stories, impeding any sense of growth and change. Ultimate Adventures, for better or for worse, represents a different, potentially fascinating direction that the Ultimate Universe could have gone. It could have been a world that had numerous books with different tones and styles that represented comedy, horror and other story-telling possibilities. Much like Brian Michael Bendis’ collaborations with multiple artists with multiple styles on the sadly short-lived Ultimate Marvel Team-Up, it could have declared a new Ground Zero for titles that were, if not groundbreaking, at least a little more offbeat. It’s that sense of experimentation that brought creators like Bendis or Matt Fraction or Ed Brubaker to Marvel Comics – strong, unique voices whose backgrounds were far from the typical cape-and-spandex tales. Hell, it’s what resulted in Stan Lee, Jack Kirby, Steve Ditko and their kin creating the Marvel Universe in the 1960s, revitalizing and redefining the concept of the superhero comic while fusing it with the storytelling techniques they’d honed in a decade-plus of romance and monster books. 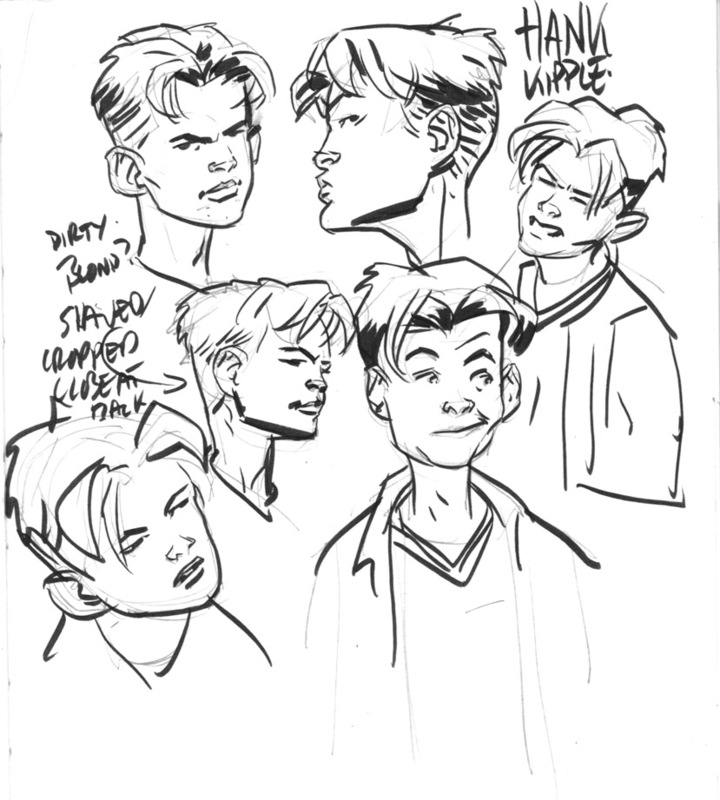 Joe Quesada’s belief in Ron Zimmerman might seem ill-founded, and his strengths as a comedy writer might have translated poorly to the paneled page nut I’ve no doubt the thinking behind his hiring was solid, as was the belief in his potential. And as I look at Fegredo’s double-page spread that ends Ultimate Adventures, a gorgeous shot of Hawk-Owl and Woody joyfully leaping into battle, I can’t help but feel that there was a great comic in here, just one that wasn’t fully realized. As for Ron Zimmerman, he went back to writing for other media. His most recent credits include a consulting producer position on the Disney Channel series Shake It Up! and writing/guest-starring in an episode of the brazen Fox sitcom ‘Til Death where he got into a gunfight with a little person. In 2010, Marvel published his sequel to his Rawhide Kid miniseries, illustrated by the great Howard Chaykin. No one complained much, or said much about it at all. For Zimmerman, it might have come as a relief. The last pages of Ultimate Adventures #6, via http://www.comicvine.com. 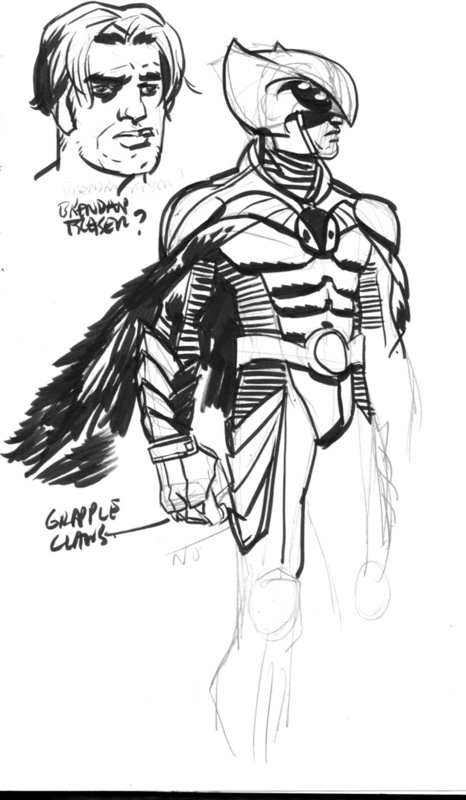 The name came from a woodpecker-based costume, though it was originally announced as “Zippy.” I don’t get it either. These increasingly public attacks annoyed DC to the extent that they refused to do any more crossovers between their characters’ and Marvel’s while Quesada and Jemas were working at the company. Quesada’s biggest swipe, that DC was failing to follow Marvel’s lead in licensing their lesser-known characters for major film and television projects, actually turned out to be a piece of advice the company followed. There actually is a bird called a hawk-owl, but the origin involves young Danner fighting a hawk that’s attacking an owl. Why he named himself after both isn’t exactly clarified in the script, though there were at least three preexisting comic characters called “The Owl” anyway.